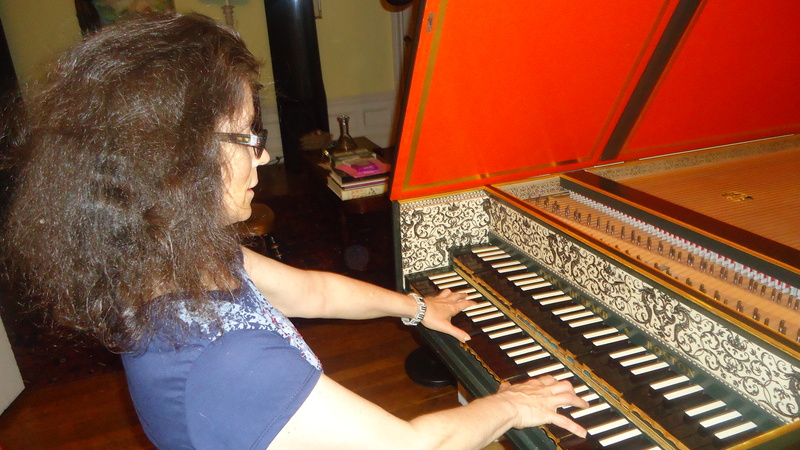 The centerpiece of my trip back East this past weekend was meeting up with Elaine Comparone in her acoustically magnificent West Side apartment. It was this same fire, that lit up another space and captured my attention a year before. 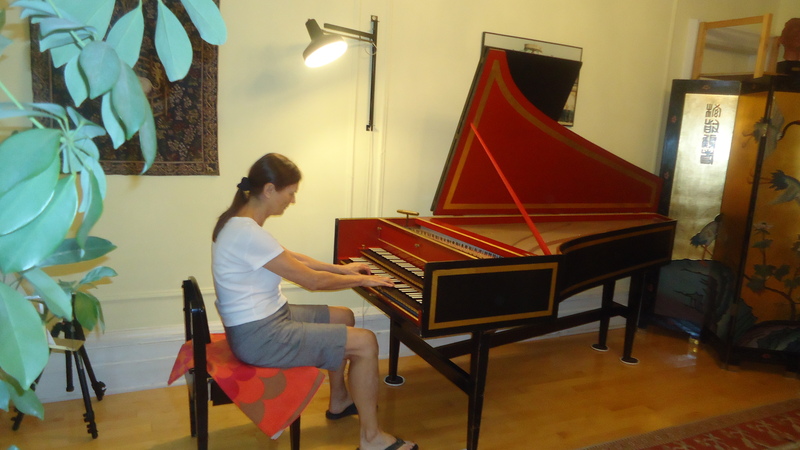 A Facebook link had led me to Comparone’s “red-blooded” harpsichord playing as she stood, no less, in the musical spotlight. 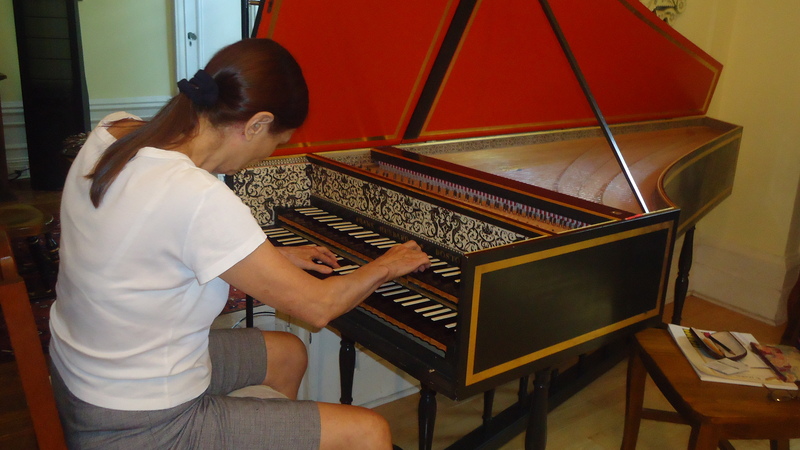 (Hubbard Harpsichords, Unlimited, designed a tall oak stand in consultation with Elaine, that elevates the instrument to required height) It had been “dubbed” the “Brooklyn Bridge” by technicians. Talk about innovation. 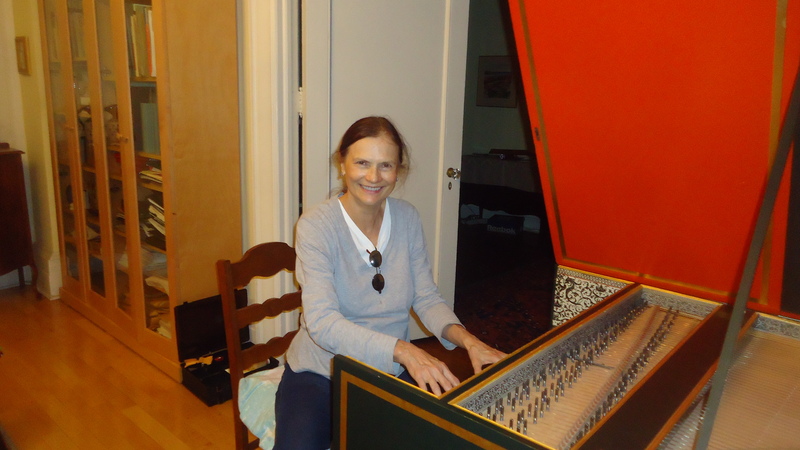 A ground breaker is a good description of Elaine Comparone and her efforts to lift the harpsichord out of obscurity and into light of day. 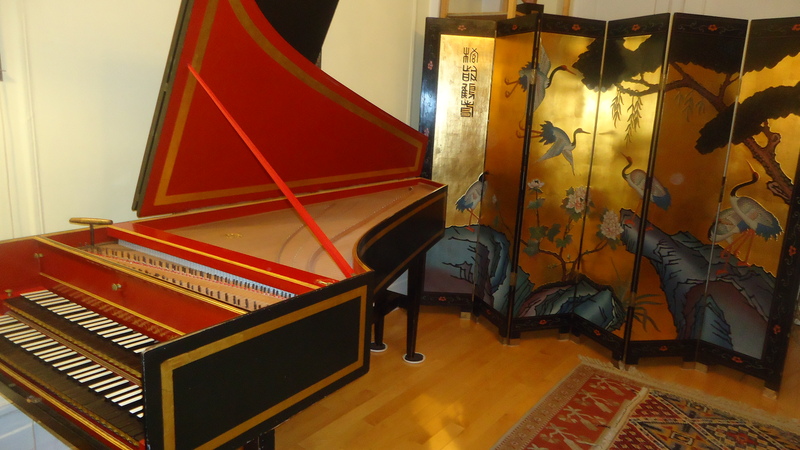 Just soaking up an afternoon in the life of this towering artist has inspired me to learn a bunch more Scarlatti sonatas, side-stepping the desired medium, of course, until I can well afford to order a custom designed Hubbard or Dowd from Massachusetts. 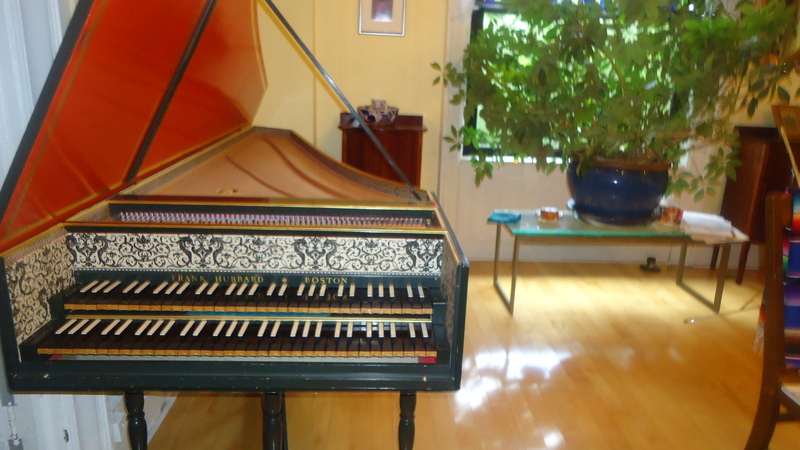 Hey, who on earth is pretending to play the Hubbard? What a daunting task with those black notes subbing in for white ones. And the whites raised up where the blacks are normally found. 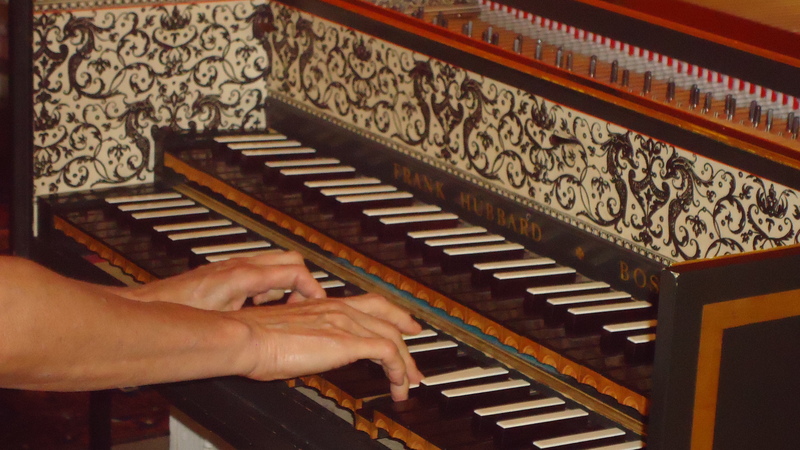 A dizzying panoply of keys, closely spaced, with an unfamiliar touch. I’d need a ton of practicing to get things rolling. Interesting! What is the reason for standing while playing? This woman is too cool to believe.. The way I see it, she may get the leverage, and weight transfer, etc. freedom of movement in this posture. I will forward your question onto to her. 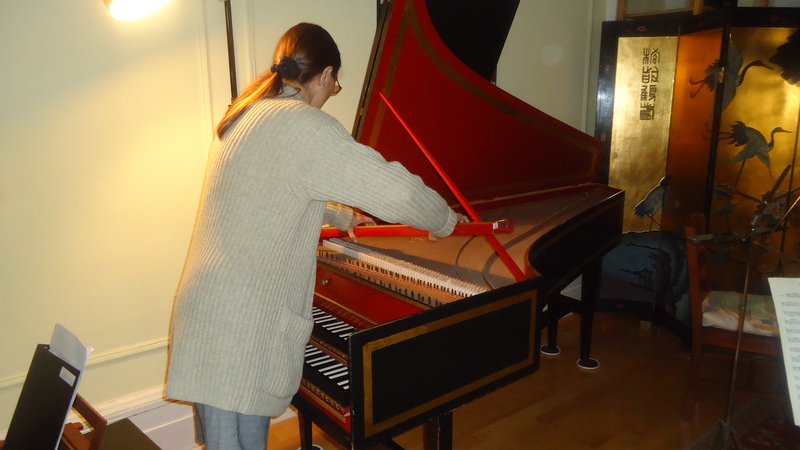 I think early harpsichordists were orchestra director too. So in an ensemble they played and directed at the same time. Standing of course.